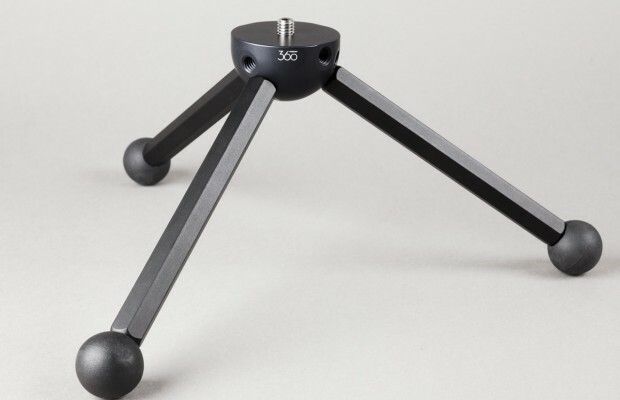 The F360 Basic Ball Tripod is one of the most versatile tripods that you can own. 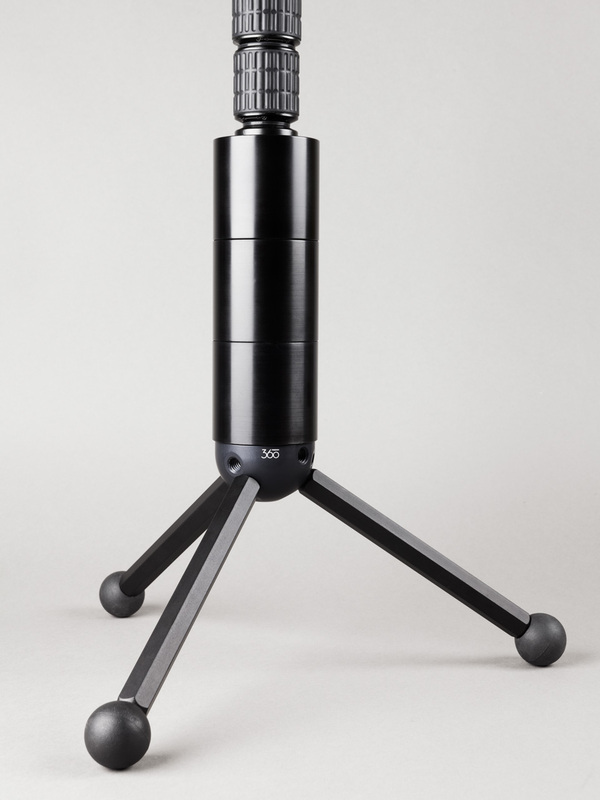 It is a solid base for all 360º video gear. 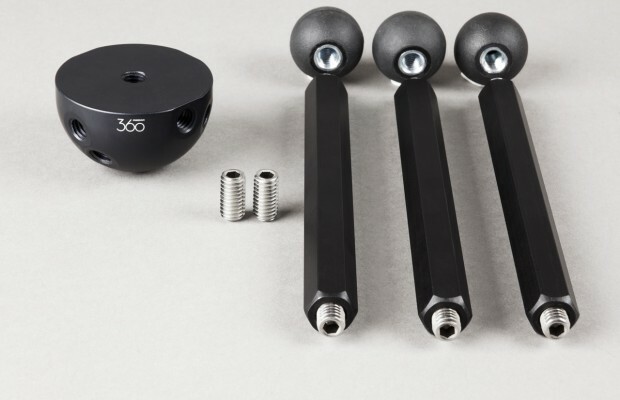 The main component of the F360 Basic Ball Tripod is the aluminium hemisphere with 14 different ⅜” – 16 female connectors to allow for a wide variety of configurations. The main body is produced by Novoflex in Germany, exclusively for Freedom360. 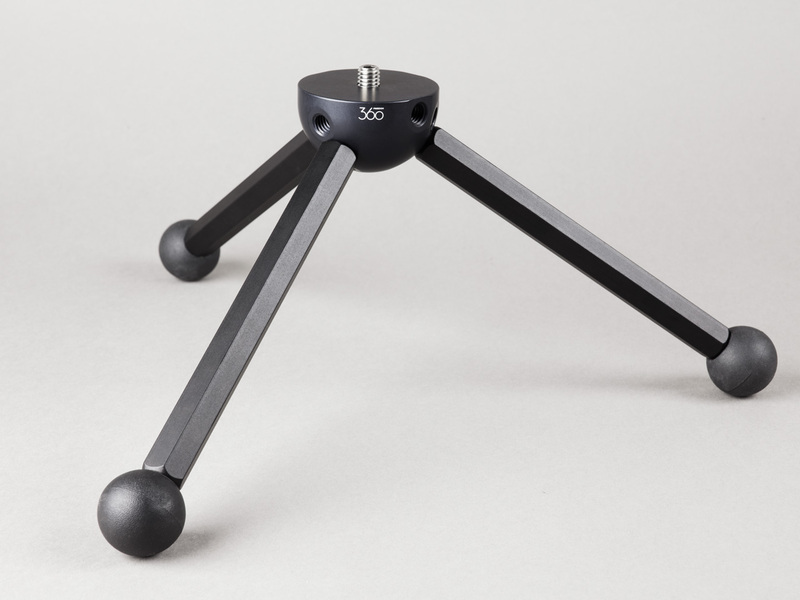 The tripod legs are heavy-duty aluminium and can be attached at three different heights with wide, medium and small footprint to make a regular tripod setup. On uneven terrain choose different levels for the legs to get your monopod back into a vertical position. Or use only two or one tripod leg. The legs come with rubber ball feet which can be detached. In addition, there are three 90º holes at the equator to give you even more options to connect gear. The monopod (or weights) attach at the center of the hemisphere. All aluminium parts are black anodized, and all setscrews are stainless steel, making the assembly quite corrosion resistant. 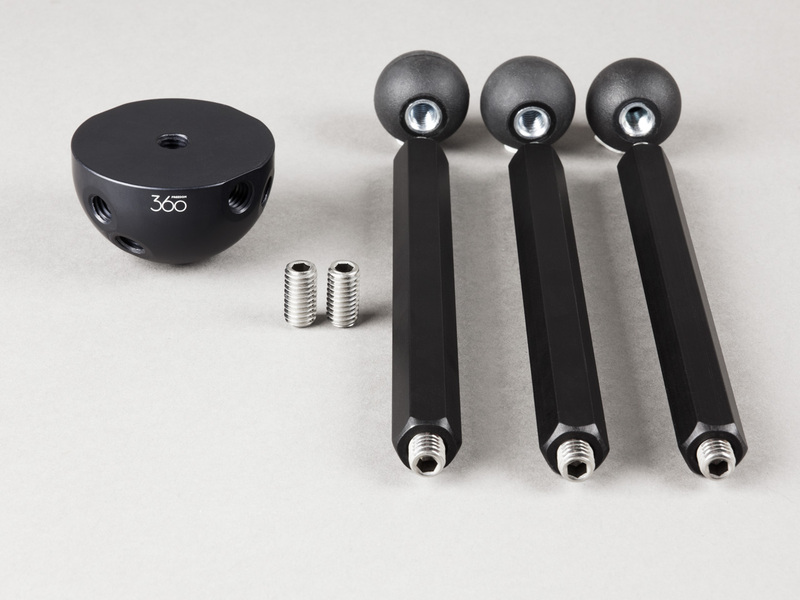 Recommended setup: use the F360 Basic Ball Tripod as base, attach 3 stackable weights between the F360 Basic Ball and the monopod (CF monopod, Nodal Ninja Travel Pole) then attach your Freedom360 system on top. Alternate use (for traditional pole photography): place stackable weight on top of the F360 Basic Ball Tripod, attach a Nodal Ninja Rotator on top, then attach a Long CF pole (i.e. 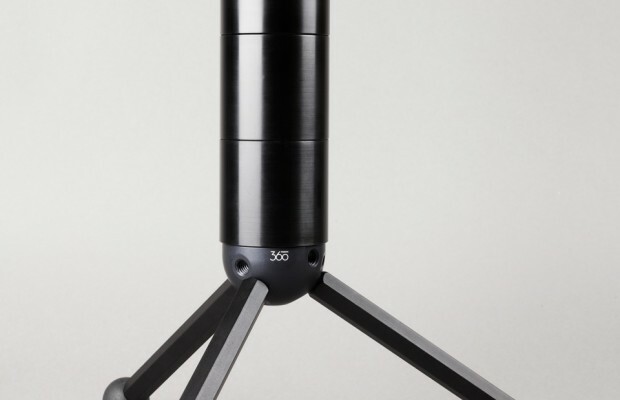 the Nodal Ninja Pole Series 2), and place your camera on top. With care and attention, 6m height is possible. Use your gear responsibly, we are not responsible for anything.